Carry your keys better with the Orbitkey. No more jingling keys, messy keychains, scratched phones/wallets and holes in your pockets! 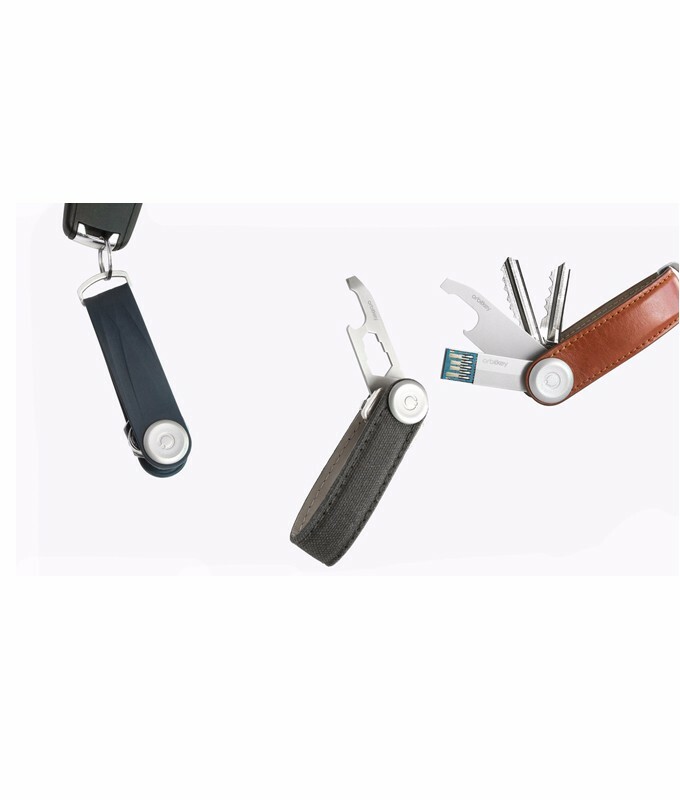 Orbitkey is a slim, elegant, tension adjustable key organizer that transforms your keys into a neat and organized stack. A wide variety of colors are available in both the leather and activewear rubber Orbitkeys! There is also a FOB and bottle opener accessory for your new key ring.